Earn $4.49 in Rewards credit. Click to learn more. 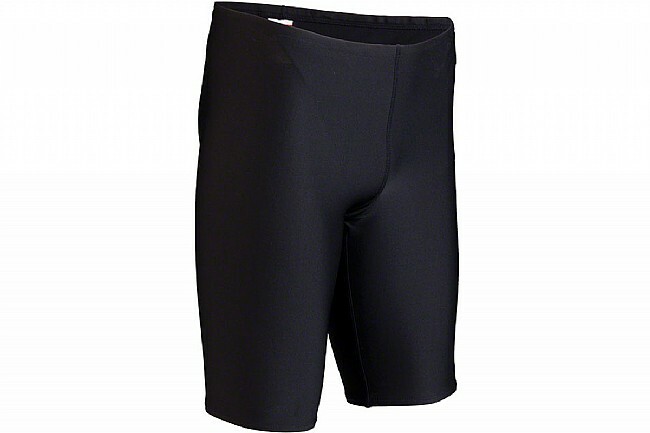 TYR Sport, Inc.’s Men’s Performance Jammer is made from highly flexible yet durable Durafast Elite. An antimicrobial lining prevents the buildup of odor-causing bacteria for lasting freshness. This jammer-style suit is cut just above the knee, featuring a compressive fit with an adjustable waist drawcord. Armed with chlorine and colorfast treatments, TYR Sport, Inc., claims this jammer can retain its shape and hold on the body for 300+ hours of use. Composition: 94% Polyester; 6% Spandex.